Catering - VOTED BEST SANDWICHES AND BREAKFAST BY ONMILWAUKEE.COM READERS! Call us today for your catering needs! with delicious custom-made catering trays from Benji's. 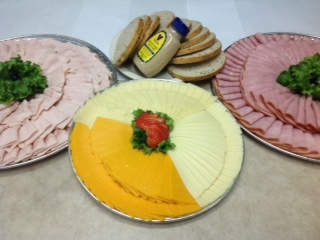 We offer sandwich platters, meat and cheese or bagels and lox trays. We can also cater your next early morning business meeting with breakfast. Call today for more info! Catering available from both locations.